Get more mileage out of your erasers! 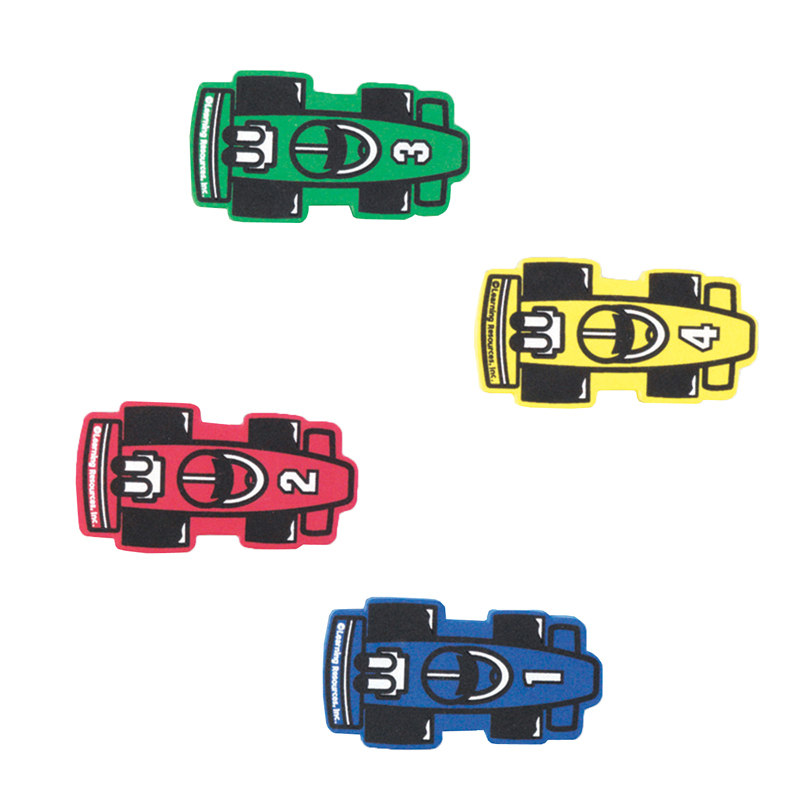 Die-cut racecar erasers glide easily, yet are magnetic, so they stick where you put them. Plus, colorful numbered cars (1-4) track progress toward goals or allow you to create a whiteboard game. Measure 4 1/2"L x 1"W x 2 1/2"H.